The 50:50 joint venture between two storied families, the Teos of Tong Eng Brothers and the low-key Yeaps, who are direct descendants of Yeap Chor Ee, a tycoon and founder of the former Ban Hin Lee Bank in Penang in 1918. Considered one of the richest men in Penang, Yeap Chor Ee was a significant shareholder of Overseas Chinese Banking Corp in 1930s, formed from the merger of three banks. The site of Belgravia Green is part of a 40 acres plot purchased jointly by the Teo and Yeap families in 1972. This translates to a development area of close to 1.8 million sqft. "From friends, we became business partners, and decided to develop the land parcel jointly," explains Two Tong Lum, managing director of Tong Eng Brothers, of his friendship with the Yeap family. 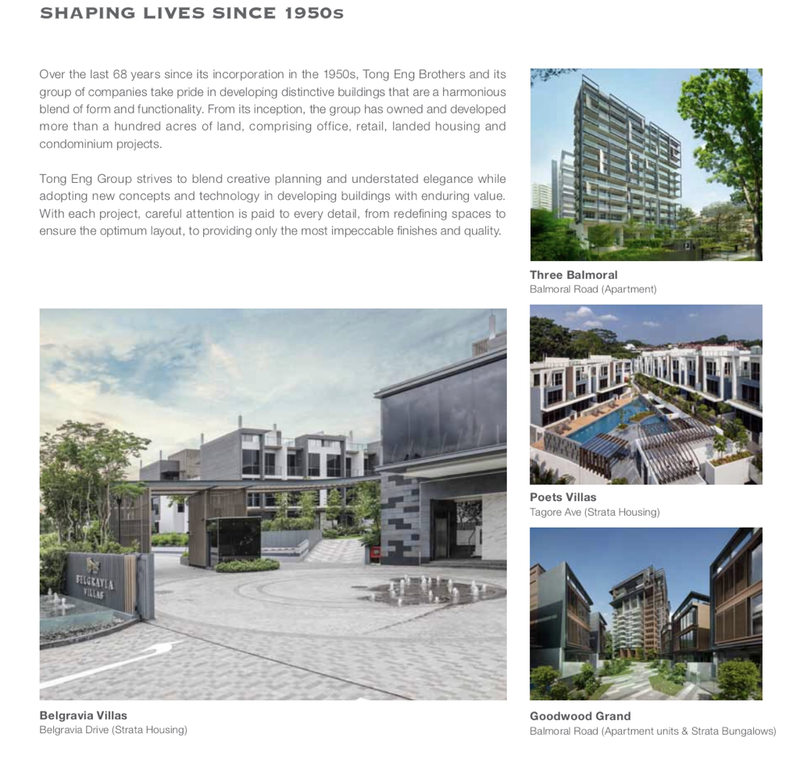 Fairview Developments' director, Yeap Lam Hai, is one of the sons of Yeap Teik Leong, who lived in Singapore and was the eldest grandson of the patriach, Yeap Chor Ee. Tong Eng Brothers was founded in the 1940s by Teo's father and uncle, Thye Chor and Thye Hong, who ventured into property development in the 50s and by the 60s had developed many houses and apartments in the Changi Heights and Changi Grove area, which were were rented out to the British forces. The area was then known as TongEng Heights. Over the last 60 years, Tong Eng has developed and owned more than 100 acres of land. 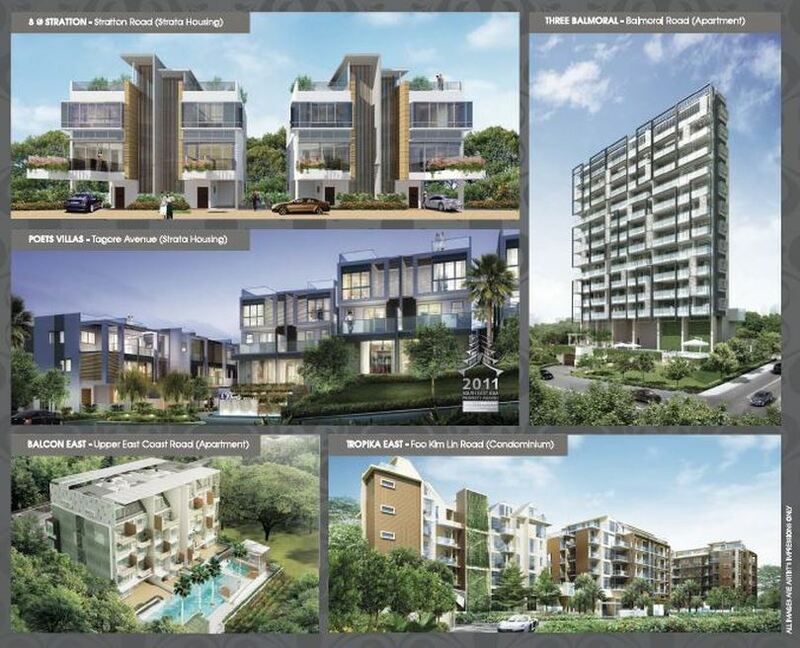 Notable projects include Greenbank Park, a freehold sem-detached housing project off Jalan Kampng Chantek in the Bukit Timah area, as well as the former Green Meadows Condominium, Poets Villas located in Tagore landed housing estate. Tong Eng also developed condo projects such as Serenade Gardens in Ang Mo Kio and Trendale Tower along Cairnhill Road. The Teos of Tong Eng Brothers and their partners, the Yeaps are said to have the second largest privately held landbank in Seletar Hills Estate. When the two families purchased the land more than 40 years ago, Seletar was mainly a rural area with rubber plantations and many rent control tenants living in the huts. The site they purchased was zoned for three-storey mixed landed housing developments. To date, about more than half of the 40 acres land owned by Fairview Developments has been developed into 260 landed homes, mainly terraced houses, semi-detached and strata landed. Its maiden project was Stratton Park with 86 freehold terraced houses and semi-detached that were designed in classical style and completed in 1992. The second phase, Belgravia Park was completed in 1995, and is made up of 82 freehold terrraced houses and semi-detached in the same classical theme. The third phase, Stratton Green, completed in 2003, contains 82 terraced homes houses. Located next to Stratton Green is the contemporary cluster housing development with eight strata-titled, semi-detached houses called 8 @ Straton, which was completed in 2009. Belgravia Villas launched in 2013 and completed in 2018 with 100 strata terraced houses and 18 semi-detached. Belgravia Villas is fully sold. Belgravia Green is available for sale now.